I would like to start this article immediately with a premise: we are not making a comparison to establish which of the two devices is the best, but we simply want to express what are their best aspects to help users in a more informed choice. You often hear the question "Which smartwatch should I buy?" repeated. Well, this little comparison serves to make it clear to all users that it is not necessary to jump immediately on the last Apple device (or Samsung, for that matter), but that, according to the daily habits of each user, Fitbit could be the right choice. Both Apple Watch and Fitbit Versa have a rather similar design (at least as far as the case is concerned) that will surely attract a lot of people. In fact, they both share a square display with rounded corners, but that's not true of the physical buttons. The Cupertino device uses a single button on the right side accompanied by a rotating crown, while the Versa has three physical buttons, one on the left and two on the right respectively. However, despite being produced by two completely different companies, it's not difficult to see how Fitbit has taken some stylistic cues from Apple Watch, so much so that some call the Versa "the Apple Watch Lite". NFC: what is this technology, how it is used and what it is for? Apart from this last statement (which certainly won't appeal to Apple fans), Fitbit Versa is definitely lighter and slimmer than Apple Watch and this detail gives it greater comfort on the wrist. I don't deny that for this very reason I sometimes completely forget that I have it on my wrist. Apple claims a thickness of 10.7 mm for its smartwatch, but I think that in this measurement it has been far too optimistic. Both devices support interchangeable straps and share a particularity: it is not possible to buy standard straps because the coupling and uncoupling system is proprietary. Apart from that, there's little to be scared of because both manufacturers, especially Apple, offer a whole range of straps with styles of all kinds to suit all users, including silicone, nylon, stainless steel and more. Fitbit also offers several options, but does not have the same choice of colors and materials as Apple. If you've already taken a look at our guide to replacing Apple Watch straps, you've probably noticed how easy it is to do so. It's such a well-made system that it's child's play! Unfortunately, the same cannot be said for the system used by Fitbit on its Versa: I have never felt so frustrated changing a watchband in my life. 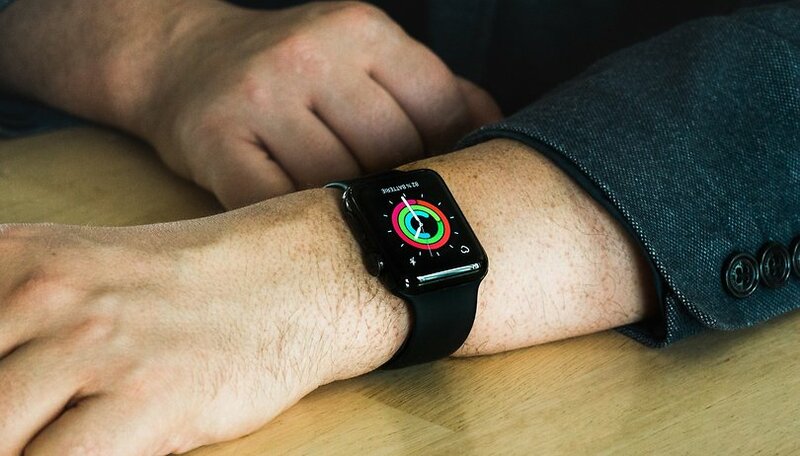 When it comes to build quality, there is really little to discuss: although both show similarities, the Apple Watch is built with materials of much higher quality with particular attention to every detail, from the aluminum case to the rotating crown. Fitbit Versa is not a cheap object, but put next to the Apple device there is no story and it is quite understandable. After all, it costs half the price of its rival, so it's impossible to expect the same level of quality. The same level of quality also extends when it comes to displays. The OLED Retina screen on board Apple Watch is fantastic, showing deep blacks and bright colors, and the panel also supports Force Touch. In contrast, the 1.34-inch LCD screen from Fitbit is not bad, but by using both smartwatches you will also notice an abyssal difference between the two with the naked eye, even more so when they are placed next to each other. However, despite the fact that an OLED screen can save more battery power than an LCD, battery life is Fitbit's strong point that makes Apple Watch look bad. Apple Watch can stay alive for a whole day on a single charge, sometimes a day and a half. If you want to monitor your sleep through third-party apps, you may have to reload it much earlier. The Versa, on the other hand, enjoys an abundant four-day autonomy with a single charge, despite its task of constantly tracking activities, sleep and heart rate. As far as software is concerned, here the approaches of the two manufacturers are completely different and, here too, we can see the difference between those who have been producing software for years and those who have not. Apple Watch's software has a very clean style and is fast, though sometimes resolute almost too complex. Pressing the digital crown will bring you to the honeycomb pattern that encloses all the apps installed, while prolonged pressure will activate Siri. As much as people may hate Apple's virtual assistant, the smartwatch is much faster than Google Assistant on a Wear OS watch. However, the constant use of these voice assistants by users puts the Fitbit device in crisis: the Versa has no assistant, so you will be forced to do everything the "old-fashioned" way, moving through the touchscreen display, swiping and touching. It was predictable, since Fitbit OS is only a few years old. In fact, after the official launch in 2017 together with Fitbit Ionic, the Fitbit software is still far from perfect. In any case, it's much easier to use than watchOS, so those who don't demand too much will be able to satisfy their needs with the Versa. Of course, the circle narrows when it comes to third-party services, a field where Apple Watch dominates and is by far the best choice. Any popular app is also available for watchOS, but the same cannot be said for Fitbit OS. The latter's app ecosystem is growing, but it's still far behind what Apple has to offer. Fitbit has recently given developers access to new APIs that should enable them to more easily create higher quality applications. However, it remains to be seen how much incentive they have to create apps for an operating system that is not convincing. Apart from applications, both allow you to receive and reply to messages received on your smartphone, but with some limitations. While Fitbit Versa is compatible with iOS and Android, it is only allowed to respond to messages when paired with an Android device. In contrast, Apple Watch is only compatible with iPhone devices and is therefore bound to this aspect. Both connect via Bluetooth and support Wi-Fi, but Apple Watch is also available in an eSIM variant that allows users to leave home without a smartphone. Apple Watch or Fitbit Versa: Which one to buy? Buying one or the other depends mainly on a key factor: which smartphone do you own? If you have purchased an Android device and you are not going to switch to iPhone, then you will have to buy Fitbit Versa. Apple Watch, in fact, will never (never say never) work with your Android smartphone. The real choice is when you own an iPhone. Of course, for those who want to get the best of the best will have to go on the safe side by buying the Apple Watch. The Versa is primarily a choice to take in case you have a limited budget, but remember that you will give up the ability to respond to messages received on your iPhone. The best smartwatches: which is best suited to your wrist? It is impossible to say which is the best of the two, because both are fantastic in their respective areas. The Fitbit Versa offers a lot despite its lower price, while the Apple Watch Series 4 is an absolutely complete smartwatch that anyone would like to buy if they don't have to worry about the price. Have you purchased one of these two smartwatches? What are your impressions? Which smartwatch do you prefer?